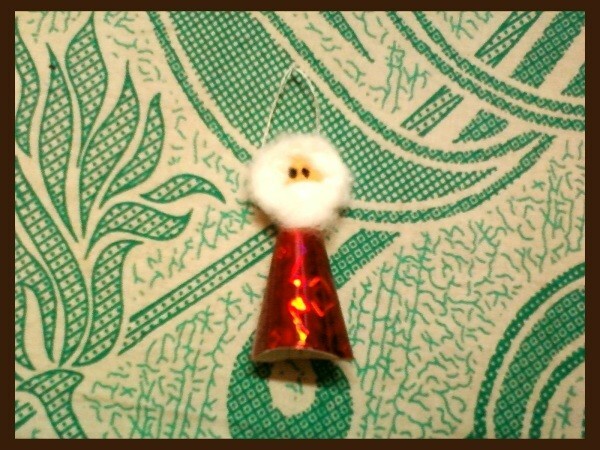 Use scraps of brightly colored paper to create this cute ornament. 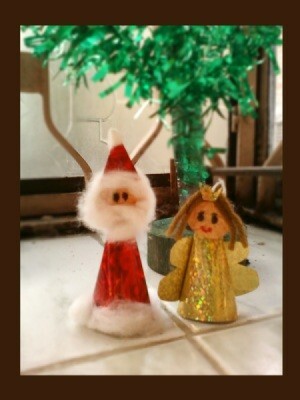 You can add angels to go with your Santa figure for shelf sitting or to hang on the tree. 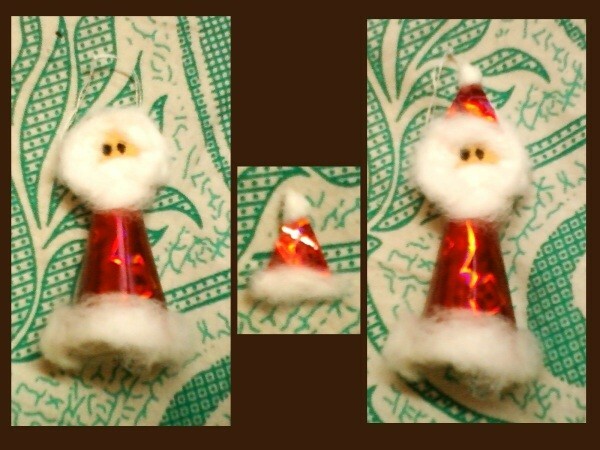 This is a guide about how to make a simple paper Santa ornament. 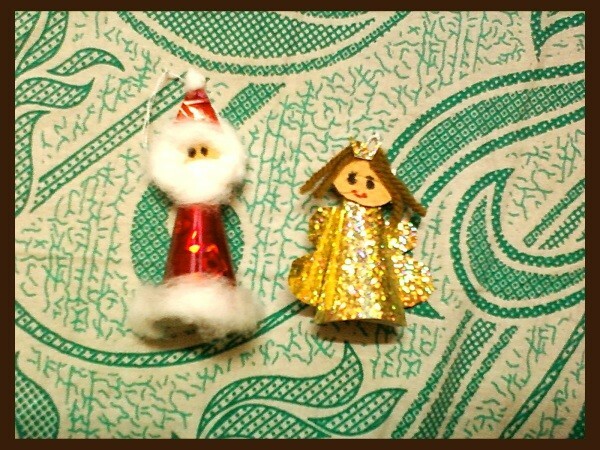 Make a Santa, fairy, or other dolls to decorate Christmas trees, easily, using simple household items like blank papers, cotton, and used gift-wraps. 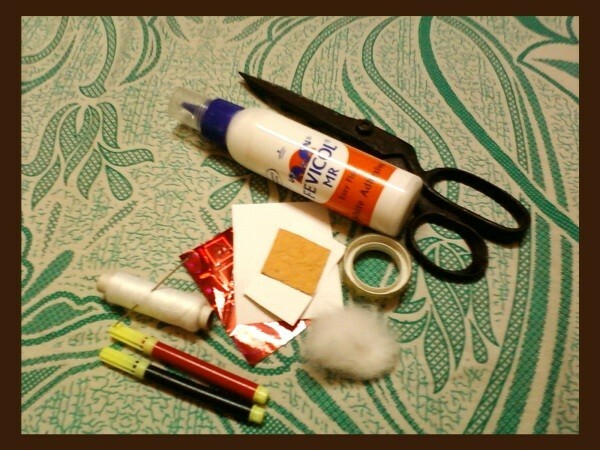 Editors Note: This could be a good craft for the kids to help make decorations. 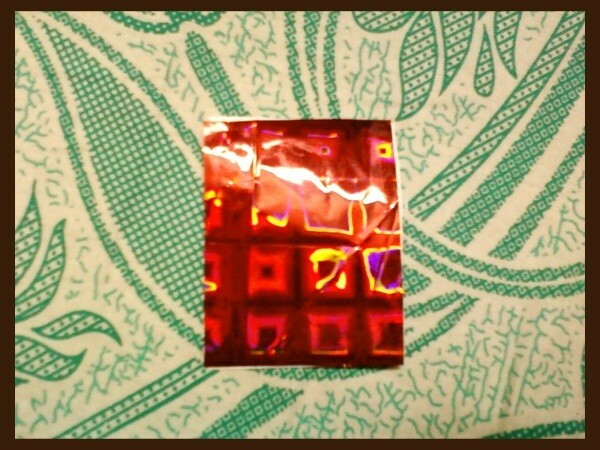 Take a small rectangular piece of paper and stick a piece of red gift-wrap of the same size on it. 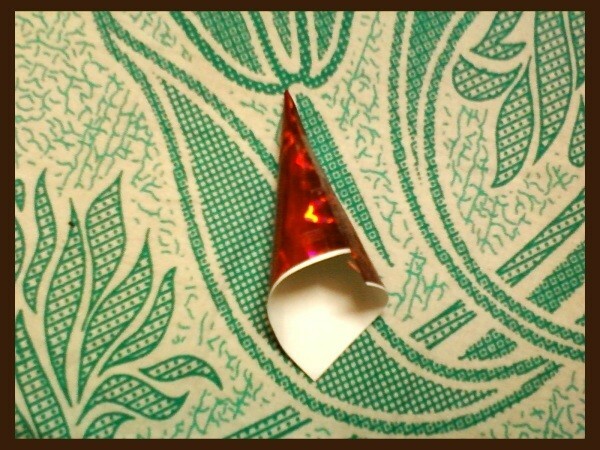 Fold it in the shape of a cone and stick the edges with glue. 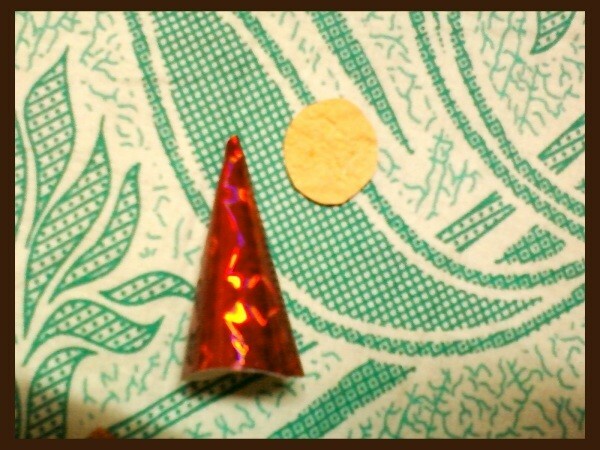 Cut a piece of paper (get a colored paper or color a white paper) in circular shape to make the head of Santa. 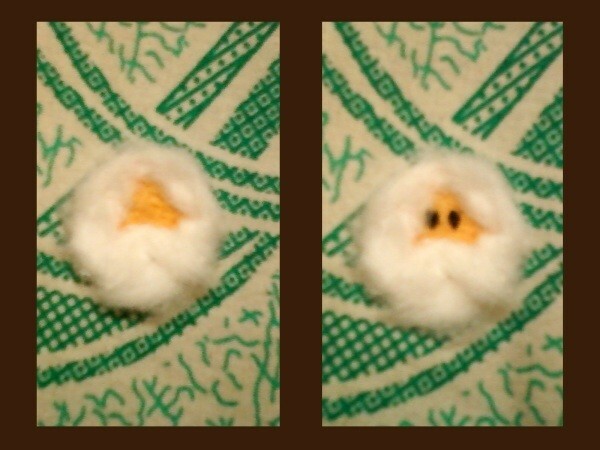 Glue cotton on the face to make Santa's hair and beard. Draw his eyes with a pen. 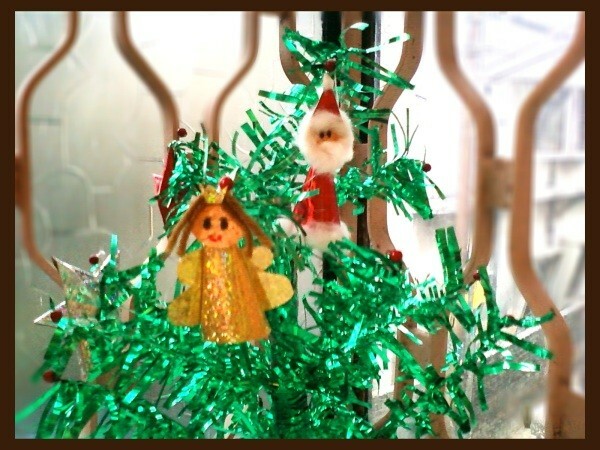 Make a hole on top of the cone to tie the thread for hanging the doll from the tree. Then stick the head on with glue in front of it. 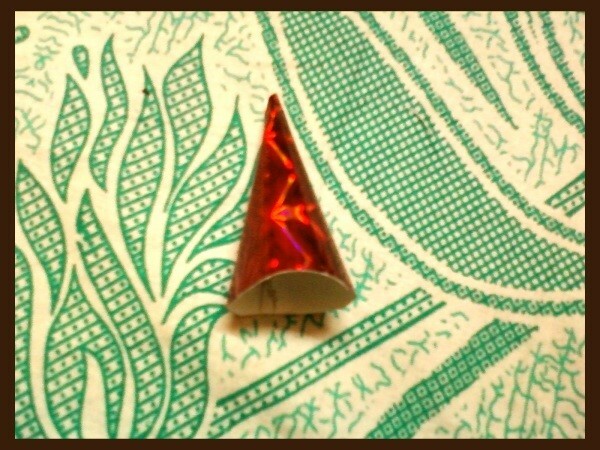 I glued some cotton to the base of the cone and made a cap cutting a triangular piece of gift-wrap and gluing some cotton on it for added effect. 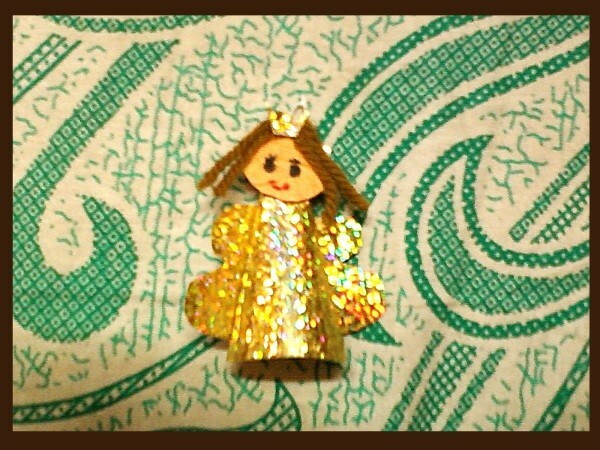 Similarly, I made the fairy using different colored gift-wraps, gluing wool on her head for hair and gluing some gift-wraps, cut as wings, to her back. So adorable! I would have never thought of something so sweet and clever!